In the October, 1927 issue of Nautilus magazine, prolific Law of Attraction author Brown Landone revealed a way to give yourself a “shock treatment” to attract more money. I’m a huge fan of Landone. He wrote more than 100 books, including The Success Process, before his death in 1945. I was deeply interested in this article by him in this old magazine of New Thought ideas. In it, Landone told the story of coaching a woman who came to him complaining that her husband had a weak heart and wasn’t successful. Landone explained that he didn’t fix anybody. He knew that once you found your own inner peace, the rest would follow. He went on to say that he might help in uncovering the source or cause for the heart palpitations and the lack of success, which would help the man discover his own inner kingdom. In other words, if he could help the man get clear of his inner blocks, the results would follow. So he agreed to see the husband. He also learned that the husband had lost much of his “gusto” for life; that he was simply going through the motions in his day to day life, without much hope or enthusiasm for anything better. With that information, Landone did something shocking. He told the husband to go out and spend all the money! How in the world could he tell a struggling man, just getting by, to go empty his savings and extend himself financially?!? What logic was behind this? I was riveted to Landone’s article, wanting to know why he gave such a controversial directive. He wanted the husband to wake up! He wanted the husband to stretch. He wanted him to dare again. He wanted him to get out of his comfort zone. He wanted him to shock his own mind and awaken it. The man listened, and acted. And then the man began to think of new ways to improve his position at work, which led to him getting promoted, and then getting a higher salary. Within a few months, the man’s consciousness had changed to the degree that he left his job, started his own business, and saw his revenue leap to $90,000 a year — in 1927! I love the story and the message. 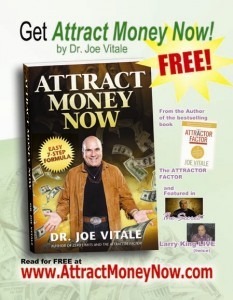 In my book, Attract Money Now, I call Prosperous Purchasing one of the seven steps for attracting more money. The idea is to honor and appreciate yourself by being honest: when you have the desire for a product or service, and you have the funds, then go ahead and make the purchase. It’s an affirmation of prosperity to do so. But Landone suggested buying and investing more than what you are comfortable with, and putting yourself into a scary place financially, as a way to “shock” or “kick start” your own mind. Instead of playing it safe, you shake yourself by taking a risk. You over ride your fear with an act of faith. And then you watch your mind come alive with new ideas. It’s not about feeling desperate, but about feeling driven. When I interviewed Jen Sincero, author of the book, You Are A Badass, she told me that her life changed when she hired a coach. She also said making the decision to do so rocked her world. Jen went on to tell me that she called her coach and tried to get her money back. If you find yourself in a financial lull, consider giving yourself a prosperity shock treatment. Consider what you really want to buy (for yourself or someone else) but are afraid to do so, and then go buy it! If you are reading this and feeling your heart race and your palms sweat, then you know what to do next. To be blunt, are you going to come from fear or faith? Said another way, the idea isn’t to get rid of fear, it’s to use it as a catalyst for new ideas, actions, and results. PS — Just as Brown Landone was a coach to the husband, you’ll get faster results with your own coach, too. Check out Miracles Coaching. Remember, it’s okay to stretch. It’s time to shock yourself into awakening. Do it! I signed up to Miracles Coaching and my experience with the 1:1 coaching for the few weeks was less than empowering. I am trying to stay aligned with the program since I financially invested $4k which I did not have. I am still struggling in several ways. Is there any suggestion you may have for me to kick start this commitment from myself and your program. I’m not sure how we both derailed. Gina, I suggest you work with your coach, be open, have faith, and work the program. I believe in you. I like his writing because it is close to my think. My comment is It would be nice if there were someway to get in touch with you when we have a question. I tryed to register for your webinar on Oct 7 but it won’t let me. It keeps telling me to enter my last name when my last name is there. It also says to enter my email when my email is there. So can’t attend your webinar it won’t let me. Also why don’t you have a facebook page, or a website, is that by design? Could we get the link here? to choose from. No cost. No obligation. Check it out. I’ve just given myself a prosperity shock treatment and signed up as a co-author of your next book! I look forward to working with you and your team. Excellent, Stephen! Excited to see your name and face with me on the next bestselling book! Smart move. I totally believe in the law of attraction. I’ve seen it manifest in my life many times. But what really blocks my way is this: when everybody consumes and consumes more (that’s what people generally do with money), what will happen to the Earth? Can she handle all this consumarism? If we all order a big house, 10 dresses, 3 cars and all that, it surely does quite a drain on the resources of the earth. We all have responsibilities towards ‘enough’, what about our Western Footprint, that is steadily increasing…..You could simply say that I don’t believe in plenitude, or that I do believe that I don’t earn it, but that’s not my point. Ofcourse I earn it. Everybody does. But when everything is polluted and depleted, there is simply nothing left to consume or to want, or to create or dream. Am I (and many with me) a defeatist or a realist? Don’t get me wrong, this is NO critism, but it’s where I keep bumping into. I would really love to hear your insights. I understand. The question comes from limited thinking. After all, if you really believed in an abundant universe, would you really think we’d run out of elements? On top of that, you are assuming everyone wants “consumer” stuff. We all want something different. With that in mind, there won’t be a run on one thing and cause resources to disappear. The planet is alive, renewing and growing as we do, too. Joe, that was pretty… amazing :-). I loved the story of Landone and the idea of stretching – powerful. Personally I feel quite familiar with it. When I was 18 years old I’d never been abroad before, I’d never been on a plane before, but I decided to travel from Poland to Spain to meet my idol, Arnold Schwarzenegger – and I did it! A few months later I started my own online business. Even though it was a big stretch for me, I invested over $5,000 into it and then an additional $3,000 into mentoring. For some reason when you do something you’re afraid of doing, your mind shifts and you go from a place of confusion, to a place of certainty and a feeling that great things MUST happen.